I am a young French amateur collector. 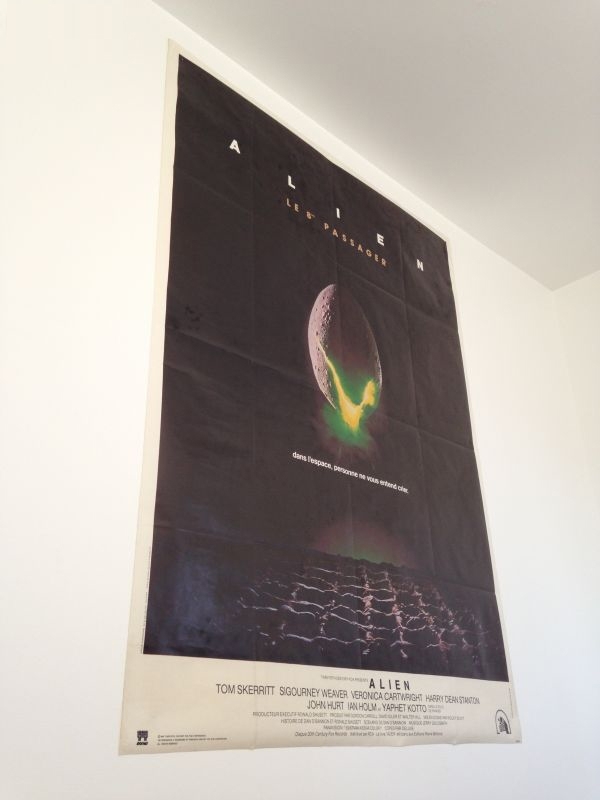 I recently bought an original French Alien poster of 1979, 46 '' x 62 '' (118x159 cm) for $ 32. It is carefully folded and in very good condition. I would like to know if you think it is a good investment and how much I could sell it? Looks like the poster you got is from a rerelease of the film in 1989. You should check emovieposter's past sales for a good idea on prices. You have to register, but it's free, and you will be using the site in the future, believe me. And my best advice would be, don't buy as investment. Just buy the posters you like and enjoy! Hi, thanks for your awnser ! I bought this poster because I'm a fan of the movie. How do you know this is a rerelease? Thanks for the site I will register to inquire. Because of the little logo on the bottom left corner of the poster. The original release french poster does not have it. Check the images on emovieposter and you'll see what I mean. Thank you a lot for all these informations !